Got this question from a couple of readers of my blog. They found this webpage of the Download Center of Microsoft. Besides the MP for monitoring JEE (Java Enterprise Edition), it also offers the SCOM 2012 Sizing Helper. This is a good tool and I use it every time when I have to design a new OM12 environment or run a health check for an existing OM12 environment. On itself nothing wrong here since it’s simply a good tool. And a long time ago – before I worked in IT – I learned this: Better is the enemy of good. In other words: when something is good and functional why replace it? Some days ago Microsoft released the updated MP for monitoring JEE (Java Enterprise Edition) application servers, based on IBM WebSphere, Oracle WebLogic, Red Hat JBoss and Apache Tomcat. Enables automatic discovery of Tomcat/JBoss/WebSphere/WebLogic application servers deployed in customer's environment. Monitors application server availability and performance. Discovers and monitors applications deployed in your Java EE application servers. Pete Zerger has a good comment on this posting: It’s not required to lower the security for the entire zone in IE. Already in 2009(!) Pete blogged about this issue and how to solve it. His posting is to be found here. Thanks Pete for sharing. Comments like this make this blog even better. Awesome! How to solve this without using HTTPS authentication? Simply because sometimes companies don’t want the SSL hassle for their PKI which is only used on a small scale inside their IT environment and not for production with CRLs and the lot. Because in that case it’s highly recommended you use SSL in order to keep your PKI secure and locked down. > Apply > OK. Restart IE, again with ELEVATED permissions. A fellow MVP Alessandro Cardoso recently published his book, Microsoft System Center Virtual Machine Manager 2012 Cookbook. Currently, no other book offers thorough coverage of System Center VMM 2012 SP1 and integration with App Controller and SCOM. Anyone involved with VMM should buy this book which can purchased at Packt Publishing or Amazon and many other selling points. Bumped into this situation recently. The customer had two OM12 environments in place: one for testing purposes and another for production. In both environments the AD MP (version 6.8070.0) was imported, configured and tuned. In the test environment the MP worked fine and the Topology Views were populated and had a health status to the top level entity. However in Production the Topology Views were also displayed but showed an unmonitored health status. Which puzzled me since there were no errors to be found in the OM12 Console related to the AD MP. I also checked al DCs and their OpsMgr event logs. No errors nor warnings to be found there. The OpsMgr Agent on all DCs was in top notch condition and all MPs and their scripts properly executed. On all DCs – besides the OM12 Agent – the AD MP Helper Object (OOMADs.msi) was present and functional , so no issues there as well. Since the production environment has a trust in place with another forest and that forest is already covered by other monitoring mechanisms, I had enabled the option ‘Agent-Only Discovery’ as described in the AD MP guide, pages 30 and 31. This way only the DCs of the forest where the OM12 MS servers reside will be discovered and monitored by the AD MP. So no noise. I have used this approach in many other similar environments and have had no issues at all. As a test I removed the override for Agent-Only Discovery. Bounced the Health Services on all DCs and OM12 MS servers as well (the OM12 MS servers are responsible for Health State calculations) and presto, within 5 minutes all topology views got a health status which rolled up to the top level entity! With all the System Center 2012 components one has the option to have them automatically updated through the Microsoft Update mechanism. It may sound great (Set & Forget) but there is more to it than meets the eye. So be careful here. Good question! First of all when looking at OM12 SP1 and the first Update Rollup (UR#1) there are some things which must be done manually. Otherwise UR#1 won’t land completely. For instance, a new Management Pack Bundle (MPB) has to be imported. Also – after the OM12 Web Console is updated – a related web.config file requires some attention. How to manually apply UR#1 for OM12? Gladly there is enough information out there. Microsoft has put much effort in it, like KB2785682 describing UR#1 for SC 2012 in more detail, also containing very important information about UR#1 for OM12. So RTFM it is. However, some of the information isn’t spot on or might put you on the wrong track. This posting is meant to fill those gaps and therefore NOT MEANT AS A REPLACEMENT of the earlier mentioned KB article. Use this posting together with the KB article and you’ll be fine. Let’s start at the beginning and work from there. This KB article contains tons of useful information, so RTFM is key. When required read it twice so you’ll know what to expect. The paragraphs Issues that are fixed in Update Rollup 1 and Installation instructions for Operations Manager need special attention here. Download them and EXTRACT them since these are cabinet (CAB) files, containing the related MSP files. Pay close attention to the Known issues for this update and Installation notes sections of the paragraph Installation instructions for Operations Manager. This way you’ll know what to expect and how this UR will ‘behave’. What OM12 Components are touched? Always install the MSP files from an elevated cmd prompt. Saves you a lot of hassle. Use this syntax: msiexec.exe /update <NAME OF MSP FILE>. Use the order as described in the KB article. Even though this UR contains two MPBs for OM12 SP1, ONLY ONE NEEDS TO BE IMPORTED. The related KB article is clear about it, so make sure you import the correct MPB file, Microsoft.SystemCenter.AlertAttachment.mpb. However, the KB article gives the wrong location. The correct location where to find this MPB file is: ~:\Program Files\System Center 2012\Operations Manager\Server\Management Packs for Update Rollups. The file version of UR#1 for OM12 is 7.0.9538.1005. For the OM12 Management Server component, two DLL files are updated: Microsoft.EnterpriseManagement.Modules.PowerShell.dll and Microsoft.Mom.Modules.ClientMonitoring.dll, located in the folder ~:\Program Files\System Center 2012\Operations Manager\Server. Also check the presence of the related MSP files in the Agent staging folders on your OM12 Management Servers (~:\Program Files\System Center 2012\Operations Manager\Server\AgentManagement\<ARCHITECTURE>). File to look for: KB2784734-<ARCHITECTURE>-Agent.msp. Running the updates with lacking permissions (make sure you’re admin on the servers, in OM12 and the OM12 databases!). Hopefully this posting will aid you in applying UR#1 for OM12 SP1 in a better way. Bumped into this issue. Somehow the Operations Manager Web Part wasn’t properly installed so it had to be removed. Easily done, since there is a well documented procedure for it. The uninstall went fine. To remove these files it is necessary to quit out of the Powershell. Stop (SharePoint 2010 Timer) service (net stop SPTimerv4). Stop (Internet Information Services) (net stop w3svc). Then manually delete the files listed from: C:\Windows\Assembly. Then manually restart the (Sharepoint 2010 Timer) service (net start SPTimerv4). Stopping both services went fine (from an elevated cmd prompt!) but locating the file Microsoft.EnterpriseManagement.SharePointIntegration.DLL in folder C:\Windows\Assembly wasn’t a success. Now it was easy to remove that file, restarted both services I stopped earlier and reinstalled the Operations Manager Web Part as documented. Now the deployment run without any issues at all. As stated before, Insight24 and Savision had a joined effort, all about Service Pack 1 for System Center 2012. For this joined effort I had the honors to write a whitepaper, titled: The Saga Continues: SP1 for SCOM 2012, which is still available for download from the websites of Insight24 and Savision. Based on this whitepaper there were two webinars, one for Europe and another for the US. At the end of these webinars the audience had time to ask questions. All those questions and their answers are to be found in this posting. Do you recommend hosting the OpsManager & DW DBs on seperate servers? This depends on your situation. When you’re running a SCOM environment with many monitored servers, network devices and services/applications and the number is 1000+, it is to be advised to separate the OpsMgr and Data Warehouse databases. Another situation which justifies this approach is when you’re going to use the SCOM Reporting component to a great extend. Rendering reports, querying the Data Warehouse may create a high IO on the CPU, RAM and disks. In cases like that it’s better to separate bot databases. Does SCOM 2012 have a web console view for mobile devices? No, it doesn’t. Or perhaps only on Windows phones since the web console of SCOM 2012 depends on Silverlight™ instead of HTML 5. However, with third party add-on from Jalasoft (Wings) you have a ‘console’ on your mobile devices, whether they run iOS, Android or Windows. For what I’ve heard and understood, network monitoring in SCOM 2012 won’t become a full network monitoring tool. Network monitoring in SCOM 2012 is related to the 360 degree monitoring view. So network monitoring plays an important role here but won’t make SCOM 2012 to a pure bred network monitoring tool. Network monitoring in SCOM 2012 relates to the monitored (Windows) servers so a mesh is automatically created based on their dependencies and connections. ­Do you know is the problem with running SCOM-console in other regional setting than english is fixed in SP1­? This isn’t totally true and needs more clarification. With SCOM 2007 R2 the standard edition of SQL Server was OK as well, depending on your situation. For instance when you’re monitoring huge numbers of servers, network components, services and applications, the Enterprise edition of SQL Server is a better choice. But when your SCOM environment is ‘limited’ to a couple of hundred servers, network components, applications and services, the Standard edition of SQL server will most certainly fit the bill esspecially when you separate the OpsMgr and Data Warehouse databases. This scenario is still valid in SCOM 2012 (SP1). ­Just need to know difference between the web transaction monitoring , synthtic monitoring & web availability­. There is much to tell, too much actually. The biggest difference however is that web availability does as stated: monitoring the availability of a particular website or part of a website. The remaining two go deeper and check the functionality of a website, like placing orders for instance. Can you explain more about new rollup on april 2013? SP1 is already avalaible, what is this new coming­? First of all, Update Rollup #2 (that’s what we’re talking about here) will only touch the System Center 2012 SP1 components it’s meant for. In other words, UR#2 will mainly contain hotfixes for the System Center SP1 components involved. Besides this UR#2 release a new Exchange Connector for SCSM 2012 SP1 will be released which is more stable and has gained more functionality as well. Yes there is. When a SCOM 2012 (SP1) Agent is deployed its control panel applet is installed with a specific DLL file which contains special .NET functions. These functions can be referenced by using VBScript and PowerShell for instance. Kevin Holman blogged about it in more detail (read the WHOLE posting ): http://blogs.technet.com/b/kevinholman/archive/2011/11/10/opsmgr-2012-new-feature-the-agent-control-panel-applet.aspx. Simply because there is still a market out there using SCOM 2007. Also because SCOM 2007 has mainstream support up to july 2014: http://support.microsoft.com/lifecycle/?p1=13876. None the less, some MPs are only for SCOM 2012, using Management Pack Bundles and/or the special widgets. With time passing by I think/expect to see MPs using these SCOM 2012 specific functionalities more and more. ­How does multi-home clients work? Any SCOM (2007/2012) Agent can communicate with up to four different SCOM Management Groups (MGs). Per MG the relevant Rules and Monitors are loaded and executed. The collected results are send back to the relevant MG. Currently we have SCOM 2007 R2, can we run it "in parallel" with brand new 2012 SP1 making sure 2012 is all working good then shut down 2007 environment ? Yes you can. The best approach here is to install SCOM 2012 Agents since these are backwards compatible with SCOM 2007 Management Groups. So these Agents become multihomed and communicate with the SCOM 2007 MG and the SCOM 2012 MG.
SP1 for SC2012 (and SCOM 2012) is already General Available. So there is no need to wait. What is the best way to decomission the old SCOM servers after you have SCOM 2012 in place­? Depends on the situation. When you have started an inplace upgrade path there won’t be any SCOM server left after the upgrade to SCOM 2012 is finished, simply because the old SCOM 2007 servers are upgraded to SCOM 2012 servers. However when you an alongside scenario where the SCOM 2012 Agents are multi-homed and they talk to a SCOM 2007 Management Group (MG) and the SCOM 2012 MG as well, you have to set those Agents to talk ONLY to the SCOM 2012 MG. See Q/A #10 how to go about that. Then you can safely remove the SCOM 2007 MG by first removing the SCOM 2007 Management Servers and then the Root Management Server. Will all the 2007 R2 MPs work with 2012? Yes they will. Even with the RMS removed in SCOM 2012, there is a RMS Emulator Role, simply for backwards compatability for certain MPs like the Exchange 2010 MP for instance. What is a Rollup to a SP supposed to provide and can you just get all inclusive SP1 inclusive of the Rollup? A Rollup contains mostly hotfixes and patches, along with some added/extended functionality, started from the point the SP was introduced and became General Available. There won’t become a full blown ISO available containing the SP with the Rollups. However, at a certain point in time a new SP will become available, containing the previous SP and the Rollups with added functionality as well. Also Do my Management Points require a seperate SP1 and rollup? When you mean with Management Points the related Management Servers, the answer is yes. The SP and Rollups touch all components of SCOM: the Management Servers, the Agents and sometimes the core Management Packs and SQL databases as well. With a SP these are always ‘touched’ with a Rollup it depends on the hotfixes/updates it contains. I was told i can upgrade my VMM and my DPM to SP1 seperate from SCOM2012 is this correct? Yes, it’s correct. But make sure the interconnectivity between these products is updated as well so it requires additional attention, like the connections between SCVVM <> SCOM for instance. Currently running OpsMgr 2012 in Windows 2008 R2 enviroment. Is it recommended to upgrade all systems to Windows Server 2012 and then install OpsMgr 2012 with SP1? No, simply because SCOM 2012 RTM doesn’t support Windows Server 2012 as the Server OS upon which the Management Servers are installed. That support is only available from SCOM 2012 SP1. So the way to go is: SCOM 2012 RTM > SCOM 2012 SP1 > Windows Server 2008 R2 SP1 > Windows Server 2012. In a multi-homed agent (SCOM 2007+2012), if you uninstall the agent from the SCOM 2007 console, will it uninstall the agent completely and also stop reporting to 2012? No, it won’t. Simply because the multi-homed Agent in this case is ONE Agent, based on SCOM 2012. So that SCOM 2012 Agent will be removed. See Q/A #15 and Q/A #10 for more information. Whenever you want to know more about upgrading to SCOM 2012 (SP1) or/and Windows Server 2012 / SQL Server 2012 (SP1), go here, an aggregation of many blog postings all about upgrading and the various paths and products. Also, when you want to KNOW EVERYTHING THERE IS TO KNOW ABOUT SCOM 2012 (SP1), simply BUY THE SCOM 2012 BOOK: System Center 2012 Operations Manager Unleashed. Written by Cameron Fuller, Kerrie Meyler, Pete Zerger and John Joyner. And the contributing authors are Jonathan Almquist, Alex Fedotyev, Scott Moss, Oskar Landman and Marnix Wolf which is me ! Daniel Savage, a PM working at Microsoft, has started a series of blog postings all about the MPs delivered by Microsoft. And states: ‘…If you have a problem with a Microsoft MP and are not getting traction through the normal channels, please let me know…’. On the same blog posting you’ll find his contact details. So RESPECT for Daniel and hooray for Microsoft. Now we have a single point of contact for all things related to the MPs released by Microsoft. Since it’s a daunting task for one person, please help him. Not by bashing, flaming, but by delivering good and useful information to Daniel, all about your personal experiences with the MPs delivered by Microsoft. I have spoken with Daniel on some occasions and he’s a person with a real drive to make things better. He has a strong believe in SCOM (as do I) and wants to make it even more better. But he can’t do it on his own, so help him. I hope to speak with him soon in order to share my experiences and thoughts. Update 03-21-2013: A reader of my blog pointed it out to me: I forgot to add the link to the Wiki! That’s a bummer, but I corrected it. A big word of thanks to Thomas IV . Some days ago Daniel Savage, a Microsoft PM, started a new Wiki, all about the Microsoft Management Packs. This Wiki contains links to all the released MPs with their version number and release date. So there is a one-stop-shop where you can find all the MPs made by Microsoft. On top of it, this same Wiki also shows which MPs are ‘in the pipeline’ and to be expected. Also whether the MP is a total new one or an iteration to an existing MP. I am happy to see this initiative. Wiki to be found here. Some time ago a regular reader of my blog contacted me. Let’s call him Pete. And now there was ‘some’ pressure on Pete which is highly understandable. Because dashboards which are nested, show everything into the smallest detail and yet show all interconnectivity as well, aren’t really easy created. So this is what worried Pete to a huge extend. How to deliver dashboards like these? How to elevate PS and VB scripting in order to get there? So Pete contacted me and asked how to go about it. Since Pete’s situation isn’t really unique I decided (with his agreement) to write a blog posting about it. First of all dashboards like these aren’t going to stick at all. Main reason is the organization behind it isn’t totally up to specs. May sound harsh but hear me out on this one. WHY does the management want a 787 cockpit and mission control? For what purposes? Aimed at what and more important, whom? And because the management never told him that, Pete would never be able to deliver it . It will never be what they want simply because they don’t know it exactly for themselves. Technology isn’t the answer here, but processes, people and organization. In order to make it more clear I told Pete an anecdote which happened to me many years ago. It was one of my first lease cars. Brand new but already after a week it was difficult to start it. So to the dealer I went. A mechanic took a look, tried to start the car and experienced the same issues. He told me he would locate the issue and fix it. To my surprise he didn’t open the bonnet of the car but hooked the car to a computer. The computer would locate the issue in a matter of seconds he told me, then he would fix it. But the computer told him all was just fine. So he ran multiple diagnostics and still the computer told him all was OK. Then he called his superior and together they ran the same diagnostics! After an hour I almost begged them to open the bonnet and to take a look. But no, the computer would them what was wrong. I was getting upset because it took too much time and I had an important appointment. So I opened the bonnet myself and then I had a big laugh! Even I, a total amateur on cars, saw what was wrong: an air hose was totally cracked which fed into the starting engine. So when trying to start, it got too much air! Both mechanics were totally embarrassed and fixed it with some tape and told me they would order a new part for it. When I drove to my customer I realized this was a shiny example of computers and their limitations as well. The computer checked the engine while running looking at temperatures, compression/pressure ratio, and the mixture air/fuel. And yes, that was all OK. Within specs. So the computer told them what it measured. But the mechanics using that computer forgot one crucial aspect: the computer had a LIMITED view of the whole car! The mechanics represent the managers looking at the dashboards, telling the end users everything is OK while they experience issues. Therefore it’s better to stay away from situations like that and to start at the foundation, which is perception management. Let management know that no matter what they’re looking at, it will always be a scoped view of reality. Simply because you can’t take everything into consideration. Otherwise you’ll end up with way too many items and loose track and control as well. 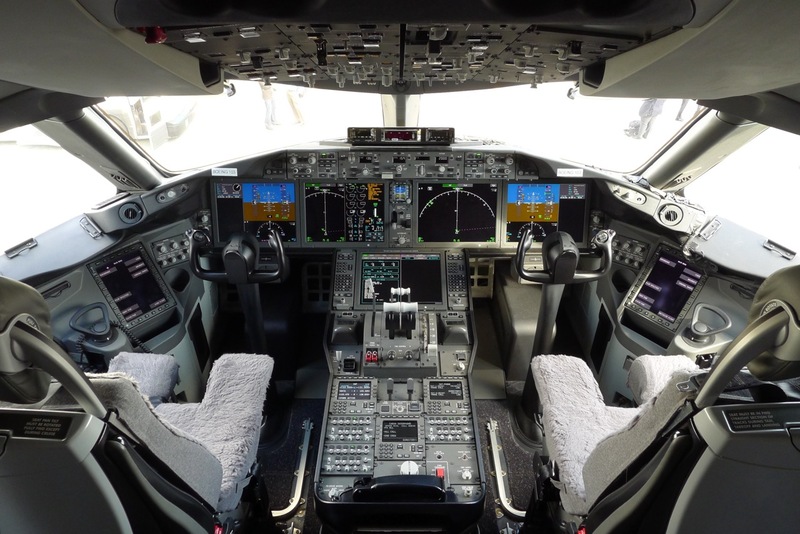 A 787 Dreamliner cockpit is an excellent example. Instead of showing everything it shows the status of the systems involved. And yes, the pilots can zoom in into the very detail of the smallest component, but only when required. That’s normal for a cockpit but not for an IT department. When they want such functionality, management must invest heavily. Not only in licenses but also in time and resources and training. This can’t be built by one man! Too many times I bump into situations like these and I have to make management see what they’re really asking. Which I call perception management. As an outsider it’s easier to get the message across but can be a challenge as well. By telling management how many licenses, time, resources and man hours they require to deliver what they want brings them to their senses, enabling one or more projects which are SMART. Like delivering dashboards depicting the most crucial IT services, composed of the components, monitored by SCOM. This brings one back to SCOM as well, since the basics (component monitoring) have to be spot on. So only Alerts which means something to the organization are shown and even more important, relevant State Changes (Healthy > Warning > Critical). Since those State Changes will be used on the dashboards. So it’s crucial to get them right. Again, this is something that shouldn’t be done by one or more IT persons. Simply because they represent a small piece of the whole puzzle. What about Change Management, Application Owners, DBA’s, end-users, Service Managers, and application developers to name a few? What about an Alert or a State Change on a Dashboard? Who is going to do what/when and how? How is everything logged and tracked? When is something an incident and when not? Who decides that? How are escalations performed? What Alerts are scoped to working days and –hours only and what Alerts are processed on a 24/7 hours basis? And why? As you can see, a dashboard is only a dashboard and nothing more. There is way much more to it, like people, processes and organization. Discuss it with the managers involved. Make them realize a dashboard needs way more attention. Otherwise they’re looking a scoped view of the reality and missing out tons of information and lacking the proper execution when something goes wrong. Also important: this has to be driven top down. So management has to know this, make it clear as in a project and drive it through the organization. Otherwise it won’t stick and work at all. Budget and resources must be allocated as well. As you can see, good relevant dashboards are key to proper monitoring. But nothing more but means to an end. When the proper processes aren’t in place and the organization lacks execution, a dashboard won’t change that. Therefore it’s crucial for organizations to get that on a level as well. Only then dashboards will add value to the organization as a whole. As stated before the FREE whitepaper, all about Service Pack 1 for System Center 2012 is available for download. March 14th at 3.00 PM Eastern Time Zone. Hope to see you all there. Bye! Yesterday Microsoft published a blog posting all about SCA. The most important news to share was this: ‘…as of January 2013 , Advisor is free to Microsoft customers in supporting countries. Trial periods are a thing of the past and Software Assurance is no longer required for taking advantage of the Advisor service…’. Even though the SCA architecture is totally SCOM based (including MPs, a Gateway Server) it’s anything but a REAL TIME monitoring solution. Data is collected, based on the MPs which are customized for SCA. Once a day (in the night) actually the collected data is sent to the cloud and processed. Based on Best Practices, experiences by Microsoft Customer Support Services and so on, feedback is given about the configuration of the monitored products. On itself offering SCA to Microsoft customers is a logical step. Why not start trouble shooting before issues really start happening? So prevention is key here. Now with Azure and SCA this is feasible and will save Microsoft in the long run money and make the way their products are received and evaluated only a better experience. For myself I wonder how long it will take before SCOM itself becomes a cloud service offering by Microsoft. Not too long I guess. Previous postings about SCA on my blog. I’ll keep you posted about the latest SCA developments. On a customers location some DMZ servers had to be monitored. These servers were part of a Workgroup so Kerberos wouldn’t do here for the required authentication and encryption. Instead special certificates were used, issued by a CA based on Windows Server 2008 R2 SP1 Enterprise. Everything worked fine until some Windows 2003 Servers residing in the DMZ had to be monitored. Even though the CA Certificate Chain was properly loaded in the Trusted Root Certification Authorities store of the computer account of the Windows 2003 servers, the SCOM certificate gave an error: The integrity of this certificate cannot be guaranteed. the certificate may be corrupted or may have been altered. The Certificate status, found under the tab Certification Path gave this error: This certificate has an nonvalid digital signature. Again, we were puzzled. It was the same CA Certificate Chain used on the Windows 2008 servers where it caused no issue at all. And the SCOM Certificate was loaded in the proper store as well. Since all Windows 2003 servers had the same issue, something else was happening here. An incompatibility issue most probably between the CA based on Windows Server 2008 R2 and Windows Server 2003. In the days this posting was written the ONLY solution available was to REINSTALL the CA! But that’s something you don’t want to do except when there is no other solution available. Gladly years have gone by and Microsoft published a hotfix for it which solves this issue on the Windows 2003 servers. So no need to reinstall your CA . KB968730 has this hotfix available for download. Whenever you need to monitor DMZ servers, or other Windows servers which reside outside the trust boundary of your SCOM MG and those servers are Windows Server 2003 based AND your CA is Windows Server 2008 based, changes are you’re going to need the hotfix listed in KB968730. This went on and on for months. The customer had no clue what caused it. Already the network was scrutinzed for issues but nothing was found. So it was time for an investigation. This MG is monitoring many Windows servers and the MG itself resides on a separate VLAN. First I suspected the MG to be too loaded by monitoring too many Windows Servers with not enough MS servers. But that wasn’t the cause. The MS servers were pulling their weight but were operating within their limits. The RMS was in good shape as well. The SQL servers were also in good shape so no issues there as well. Then it was time to look at the connections, especially from the VLAN where the SCOM MG resides to all monitored Windows Servers. But the network specialists ensured me all is well on that part. No connectivity issues at all. On the server side the heartbeat setting (Administration > Settings > Server > Heartbeat) was default, 3 missed heartbeats. But combined (3x20 seconds) there is only a time range of 60 seconds where an Agent is allowed not to communicate with the MS servers before an Alert (EventID 20022) is raised. So whenever there is a small hiccup on the network, changes are the event logs of the RMS and MS servers will be flooded. First by EventID 20022, telling you there is no communication, and a second later tons of Event ID 20021 telling you all is OK again. Of course there is always a reason for it, so I asked why this setting was modified. The customer told me they have some issues with a certain set of servers. These servers might reboot and come back online very fast since they’re VMs on very good virtualization hosts. Yet the customer told me they needed to know whether the server rebooted so they lowered heart beat interval settings from 60 seconds to 20 seconds. Simply because the normal heartbeat interval combined with the server interval, was too much for the VMs. They simply rebooted and were fully functional again within the time range of 3 minutes! Now the customer realized this wasn’t the way to go since it caused other unmentioned side issues as well. So they asked me what to do instead. Monitor the OpsMgr event logs of the RMS and MS servers for the rest of the day in order to see no more flooding takes place. This part will take care of the flooding issue. And yes, after this modification the flooding didn’t happen anymore. Which is way much better. Write a Monitor or Rule (depending on what functionality they really want) in order to catch the reboot of that set of Servers, targeted against that Group (create the Rule/Monitor, targeted against a general Group like Windows Servers for instance, disable it and enable it through an override targeted against the Group created in Step 1). This way SCOM is used which it’s meant for and when using a Rule it can be piped into the Data Warehouse which can be used for a customized Report, telling the customer what servers rebooted when during a certain time frame. Whenever there are some Windows Servers which require special attention because they reboot too many times / too fast, don’t use the Agent Heartbeat Interval option to identify those servers. This setting will affect ALL monitored Windows Servers and is most likely to result into unwanted side-effects. Better is to create a Rule/Monitor aimed at catching specific EventID’s telling you the server rebooted. It’s Best Practice not to lower the Agent Heartbeat interval since 60 seconds is already tight enough. Many times it’s set a bit higher (with increments of 10 seconds) on a PER AGENT basis when those Agents reside in a part of (remote) network which has some latency issues. Hopefully this post prevents the flooding of the OpsMgr event logs with EventID’s 20022 and 20021.